Each morning I help Goldilocks put on her pants and t-shirt and as she points to her clothes she asks with such enthusiasm, “You bought me that? !” We then move to the bathroom and as I grab the comb and mousse she asks again (still as excited), “You bought me that? !” It doesn’t stop there. 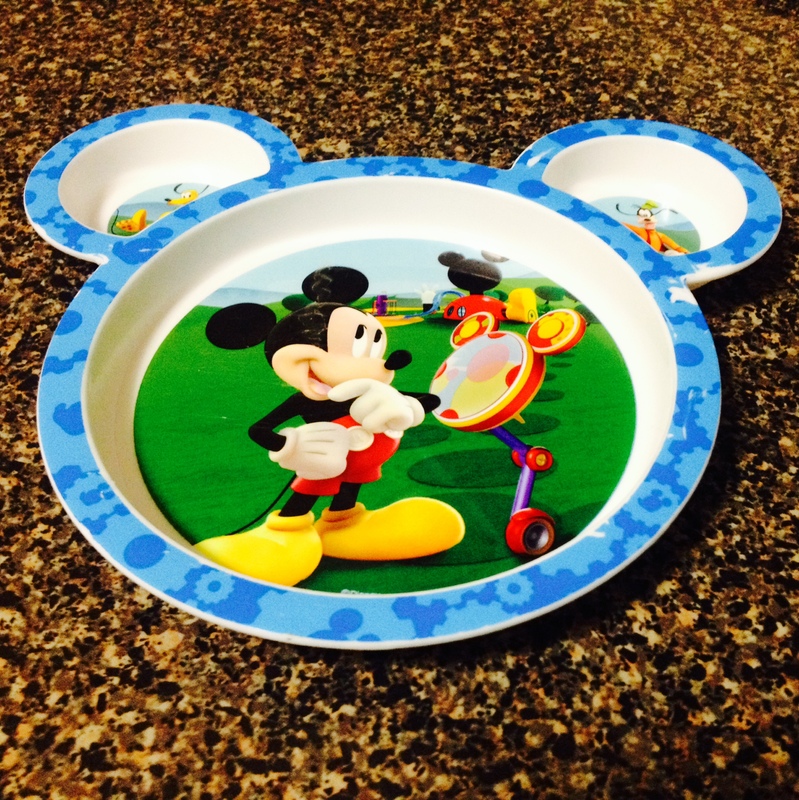 She asks again when I hand her the Mickey Mouse plate for breakfast, the ‘water baby’ she just HAD to have in Target, the Tinkerbell toothbrush she is trying to master, and even the shampoo I use to wash her hair. Nothing is off-limits and she will always ask this question to the same items time and time again, even if you have already answered it the day before (or even five minutes before). That’s when I started thinking about all of the “things” God has bought (or brought) me. Through the death of His Son, He has bought me hope for heaven, hope for babies, peace in times of uncertainty, healing, grace, prosperity, forgiveness, love, and joy that outlasts happiness. God deserves more than just a “one time” thank you or even the occasional “thanks” for the gifts and blessings He has freely given us. He deserves to hear our “AWE! Me love you!” each and every time we turn our closet light on to get dressed, look at our spouse from across the dining room table, open up our refrigerator to find food to eat, or the forgiveness we don’t deserve when we mess up. I may not enjoy hearing Goldilocks ask me the question, “You bought me that? !” to every little thing, every single day, but I believe God does. I also believe that just like I enjoy the sweet response she gives of “Awe ! Me love you!” God also eagerly waits and enjoys to hear us say it as well. From now on, I am going to start having what I call, “The Goldilocks Conversation” with God. Each day, I am going to randomly and repeatedly thank God for the things I have, whether big or small. I am going to say, “Awe! Me love you!” when I drink my cup of coffee, spread butter on my toast, put gas in my car, dust around my home decor or even fold my laundry. I also think I owe Him an “Awe! Me love you!” each time I flush the toilet (no outdoor potty trips), take a warm shower, or eat a hot meal. Everything I have, is not from my own efforts as much as I sometimes think they are, but they are gracious gifts from God. What an AMAZING program. You guys are incredible. PCOS is awful. Lovely to ‘meet’ you! Another PCOSer here who fully agrees, it’s the beast! How lovely to have Goldilocks and for her to have you! This post made me smile!!! I am so glad it made you smile. She is a cutie patootie! This made me cry! It’s beautiful and a great reminder of how much we need to remember to thank God, even for the little things. I know. I am so guilty of chalking up my one time “thanks” and then taking everything for granted or forgetting that even my bar of soap is not a result of my pay check, but Him. I truly love all the “Goldilocks” lessons you learn, and in turn get to share with me! So elementary but such perfect examples of how I need to be thankful for all I do have (even if it’s a toothbrush to clean my teeth!) love you girl! So does that mean you thanked Jesus for your toothbrush tonight?! lol! I thanked him for my razor as I shaved my legs…my hubby should also thank him for my razor as well. OH, man! This Goldilocks story both warms and breaks my heart simultaneously. I was definitely taking most of my life for granted at her age, but that’s just what kids do when they feel safe and secure isn’t it? Must. Practice. Gratitude. She has taught me so much in just two months. I hope you got a chance to read some of the other posts about her. She is precious. Ahh, I just LOVE this….. Such a beautiful, tangible picture of our love relationship with Jesus. LOVE THIS! I always thought we were sent to her to show her Christ’s love, but the longer I have her, the more I think she was sent to us for the same reason. You hit the nail on the head. Thanking God for all things big and small throughout the day, from just having clean drinking water, to waking up in a safe home with heat. So amazing what an attitude of gratitude can give. LOVE this reminder on how we should show our thanks to God more often than we do. So funny how children can give us reminders we need to hear most too. Too cute! What a lovely story! I smiled at the image of giving thanks while dusting, because it’s true. I can treat it as a chore, seeing only the dust, or I can treat it as a form of caretaking and focus on *everything* else — all the things in my home that remind me of special people and times I’m blessed to have. I LOVE how God is working through each child in your life and in turn you sharing it with us 🙂 This is such a wonderful reminder to be thankful for what we have as opposed to what we don’t. We could go throughout our entire day thanking him for all he has given us. I wonder how long it would take to literally thank him for everything-I don’t think we would stop, which we’d be thanking him for that. God, thank you for helping Elisha spread the word and keeping me closer to you! I can’t thank him for the reason we found each other (maybe one day I’ll get it) but I thank him for letting me find you Mrs. Elisha! awe thank you for your kind words!! Love this and goldilocks! She’s so sweet love being in treehouse w her! She goes home on April 10th Get all the sugars you can now! !